So much for a blue moon. 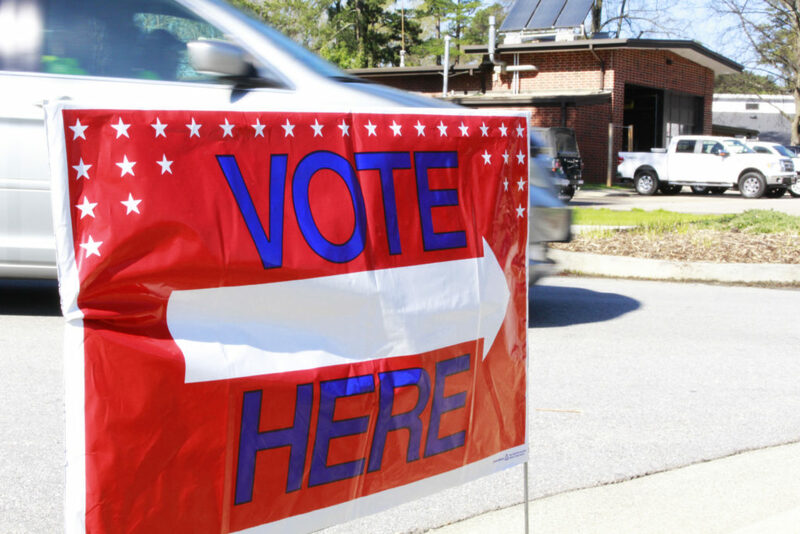 More than 2 million North Carolinians cast ballots during the early voting period, a 73-percent increase over the 2014 midterm election, based on a preliminary count by the Bipartisan State Board of Elections and Ethics Enforcement. 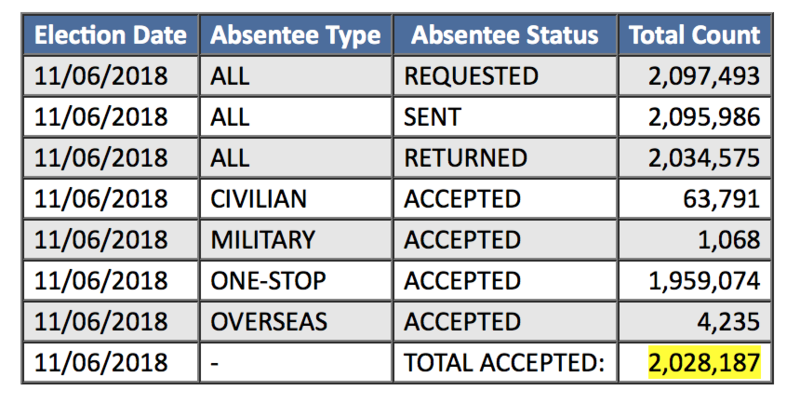 As of 3:30 Saturday, Nov. 3, elections boards across the state had accepted 2.03 million absentee ballots, roughly 1.96 million at early voting sites. That number will go up, as a handful of counties chose to keep early voting available until 6 p.m. Even though this is a “blue moon” midterm, with no U.S. senate candidates on the ballot, turnout is surprisingly strong. The turnout rate so far is 28.6 percent. Including election day voting during the entire 2014 election cycle, when Republican U.S. Sen. Thom Tillis was re-elected, turnout was 44.4 percent. During the 2014 midterm, 1.18 million ballots were cast during the early voting period. “We believe the strong early voting turnout, as well as Saturday’s long lines at some sites, are signs that voters are engaged in 2018. We hope this excitement continues on Election Day,” said Patrick Gannon, spokesman for the elections board. The elections board will post updated totals at 5:30 and 7:30 p.m.